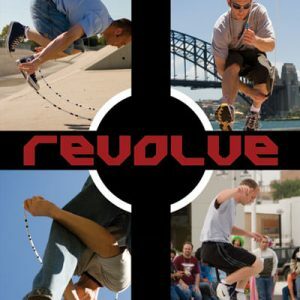 World Champion rope jumper, Peter Nestler, teams up with fellow Champions, Nick Woodard, Kelsy Moe and Mike Fry to bring you a video jam packed with top-notch instruction. 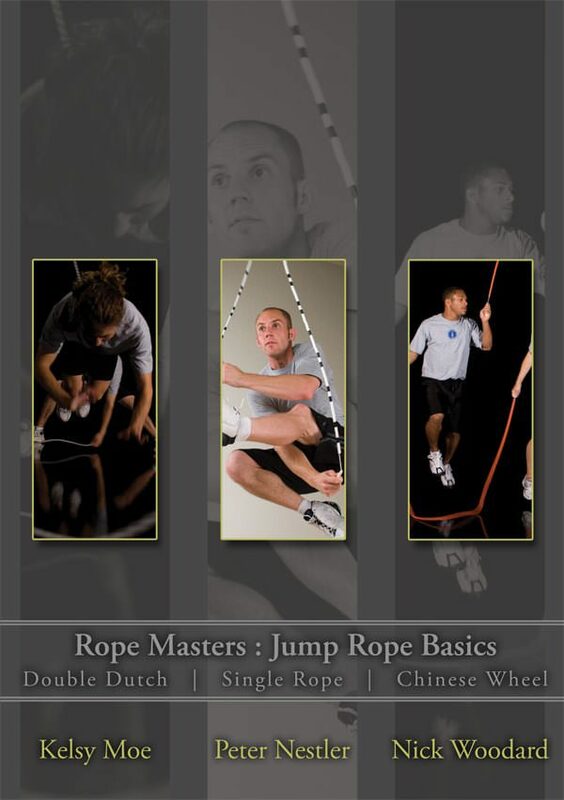 Learn from the Masters – Everything you need to know to get started with a rope. 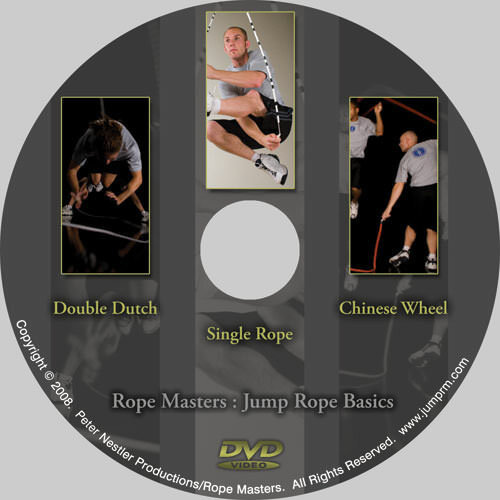 We have taken all the beginner skills from our 2 popular dvd sets (single rope skills and double dutch + chinese wheel) and combined them on one disk designed to help you learn the basics of rope skipping. Give us 2 hours, and we’ll give you everything you need to get started in your jumping career! Learn how to properly size your rope, the basic jump, footwork, the criss-cross and other great skills in the single rope section. 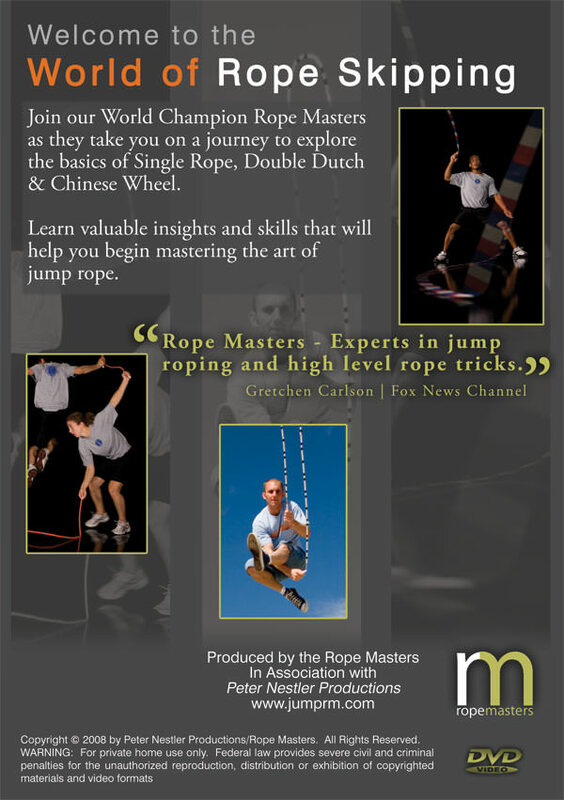 Once you enter Double Dutch you’ll learn the most important parts like proper turning, turning drills, how to enter and exit the ropes along with some great skills that will have you looking like a pro in no time. The Chinese Wheel section will introduce you to 2-Wheel and you’ll learn the basic jump, turning, crossing and other tricks that will help you master the basics of this fun discipline. 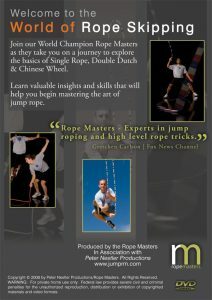 Join our World Champion Rope Masters as they take you on a journey to explore the basics of Single Rope, Double Dutch + Chinese Wheel. Learn valuable insights and skills that will help you begin mastering the art of jump rope.